There is only a couple more days until the Yard Sale 2014 ends, so as we took a break from the Yard Sale 2014 guides due to the level 43 update I will be posting the final posts during the next couple of days. We have 7 days left till we reach the end of the Yard Sale 2014 with only three posts left to cover. In post one out of three we will be looking at the Whacking Day costumes that have returned for the 2014 Yard Sale. In conclusion I think that Bare Chested Willie is not the best item on offer during the Yard Sale 2014. If you have any spare donuts left over then this is when I would consider buying the costume. There are much better offers up for grabs in the Yard Sale with Willie not being one of them. Despite having amazing visual tasks and earning premium rate he doesn’t come in a combo like other items on offer and there are other non limited time items you can also buy at the same price or lower. However this decision all comes down to you. I hope this has helped you and please comment your thoughts and opinions in our comment section below. 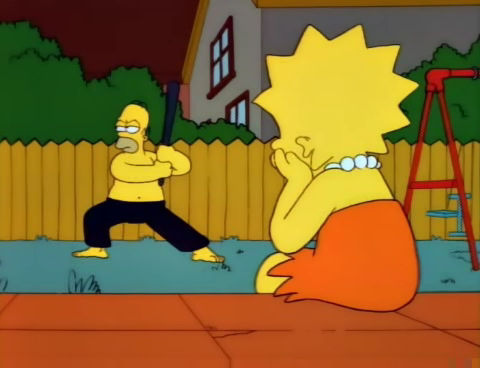 In conclusion I think Ninja Homer is a better option than Bare Chested Willie. 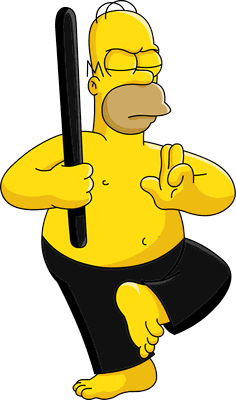 However there are much better options than Ninja Homer. It comes with no quest and is a bit expensive for a costume and small decoration. 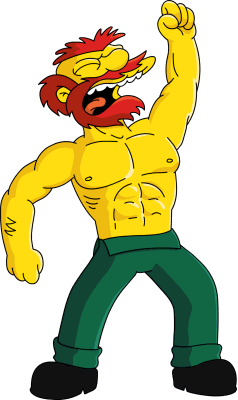 Despite the fact it earns premium rate and adds to your Vanity I would suggest you pass on this one however if it is between Bare Chested Willie and Ninja Homer I would go for Ninja Homer. However It all comes down to you. Please share your thoughts and opinions in the comment section below. Happy Tapping, Nathan. Do you have an Origin account? Is the issue connectivity difficulties? If you play anonymous the account may be lost if the connectivity is is bad (either because of EAs servers or your internetconnection). Turn off/on wifi or if you hve the possibility change the connection. If you have an account, you might have been autologged out. Just hardclose the app, shut off device and restart. You should get the Welcomescreen where you can log in again, bottom left. Many are having issues with connectivity now and seeing too much of Bart. This is probably EAs fault and I assume that they are upgrading the servers so that this will be resolved. If it is the servers there’s nothing we can do but wait for a fix or let EA know that we’re not happy. What is going on? Why can’t I log into The Simpsons? I am on level 43 and very sad that I just cannot access the game. Did the game autologout you or is it completely inaccessable? If it autologged out, close app, shut off device and restart. That should take you to the welcomescreen where you can log in, bottom left. If it is a connectivity issue (Bart the stupid Brat) check/switch wifi turn off and on. Right now a lot of tappers have problems with connection so it is probably EAs servers and if that is the case we can only wait for them to upgrade their equipment. It is not unusal for me to get Bart – Retry – Bart – Retry – Bart – Reconnect – Bart – Retry – turn off app/device – Restart – Bart – Retry – Bart – Reconnect – Bart – Retry – shut down app/device – Restart Bart – Retry – Bart – Reconnect – Bart – Retry for 40 min before the game lets me in. Clearing the device cache might help, deleting other apps to free up some space and once you’re in the game clear pending requests both recieved and sent. 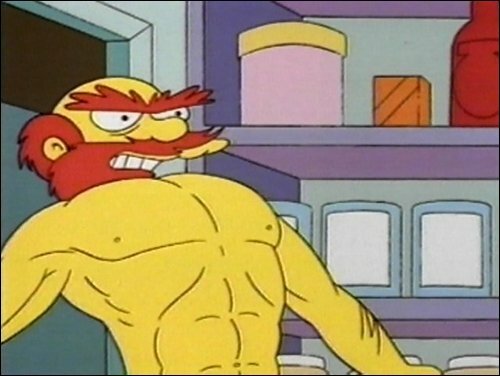 I would go with Bare Chested Willie if you already have a premium costume for Homer. There’s no point in picking up multiple premium costumes b/c you can only use one at a time. Willie’s only costume is BC, so that’s my pick. This way, you can earn most bang for your buck. For that reason, I was okay with passing on Mayan Marge. Previous Outsiders’ Musings XLV: No picnics!